In the State of Virginia, media artists will find many Internet based companies, film studios, publishers, creative agencies, computer systems design firms, and television stations that are always looking for fresh talent. The state is also home to a variety of public and private schools (K-12), and top colleges and universities that welcome talented instructors. Just a few of Virginia’s best colleges include Virginia Tech, Regent University, George Mason University, University of Virginia, and Marymount University. Not only do these schools welcome talented educators, they offer some of the state’s best programs for aspiring artists and designers. This includes digital media artists. Continue reading to learn more about Virginia’s best options for aspiring digital media artists and what they have to offer. Virginia is home to the nations tenth largest collection of Title IV colleges and universities. Of the state’s 129 Title IV schools, thirty-nine are public, 38 are private not-for-profit, and 52 are private for-profit. According to the Institute of Education Sciences, for the 2010–11 academic year, annual current dollar prices for undergraduate tuition, room, and board were estimated to be $13,600 at public institutions, $36,300 at private not-for-profit institutions, and $23,500 at private for-profit institutions. Fortunately, all Title IVs are eligible for financial aid programs, so even the priciest Virginia colleges are accessible to students with financial need. Continue reading to find out which Virginia schools are tops for aspiring digital media artists and what they have to offer. 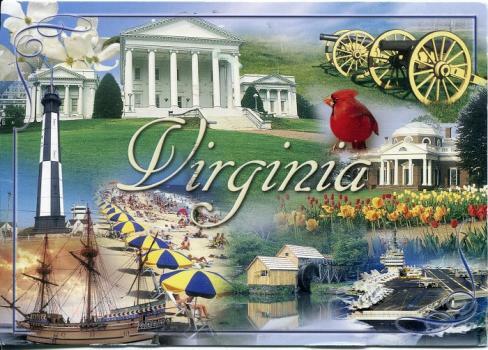 According to the latest report by the Bureau of Labor Statistics (March 27, 2012), The State of Virginia is home to 49,990 salaried artists and designers. The population of artists and designers here has increased dramatically since 2002 when the state was home to 40,780 artists and designers. Salaries are up as well. The average salary for Virginia artists and designers is $56,940, up from $42,310 in 2002. It is important to note that salaries for Virginia artists vary by company, location, experience, job title, and more. Nationwide, the industries with the highest employment levels for media artists include film and video; advertising, public relations and related services; colleges, universities, and professional schools; radio and television broadcasting, and local government. Top paying industries for digital media artists are independent artists ($82,870), aerospace ($67,830), film and video ($67,200), manufacturing ($62,760), and office and administrative services ($60,430). In Virginia, digital media artists working in public relations can expect to average $69,250 per year, while art directors average $85,950 per year. Professionals in the film and video industry can expect to $51,000-$71,000 per year, while broadcasting digital artists may average $41,000-$78,000 per year. Postsecondary teachers in the arts average $70,720 per year in Virginia and professionals in the web design and development field here average $93,130 per year.